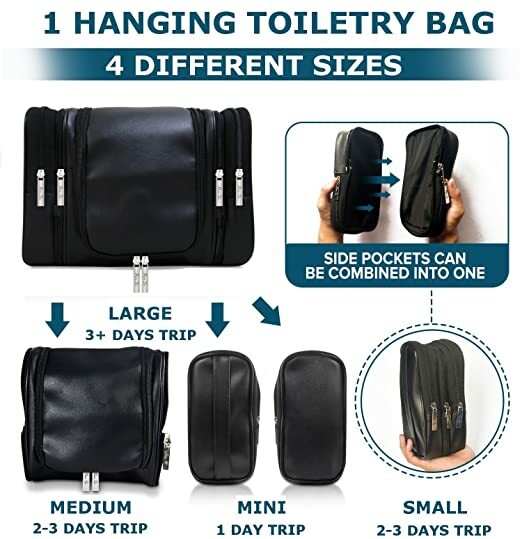 Your new toiletry bag easily converts from a large toiletry bag to a small compact toiletry bag making it perfect for any length of trip. The side pockets are detachable so you can go small, medium, or large depending on your travel plans. 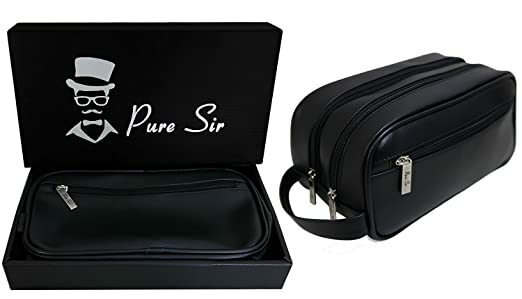 Every toiletry travel bag is crafted with high-quality, water-resistant black PVC leather that looks trendy and professional. Each toiletry bag comes with a randomly selected gift of 4 TSA approved travel bottles or a 4 piece cosmetic kit complete with scissors, tweezers, nail clippers, and nail file. 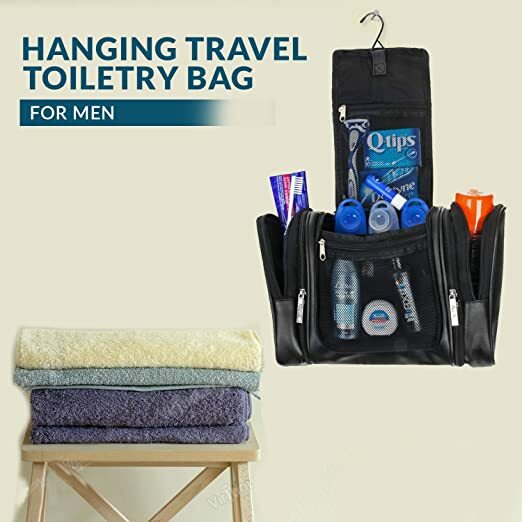 Your hanging toiletry bag features an easy-open, quick hang design that lets you access toiletries and essentials on the go. In the unlikely event you are dissatisfied with your purchase, within the first 90 days, we will provide a full refund of your money, no questions asked. Made of Durable PVC Smooth material and remains amazing condition for extended use. 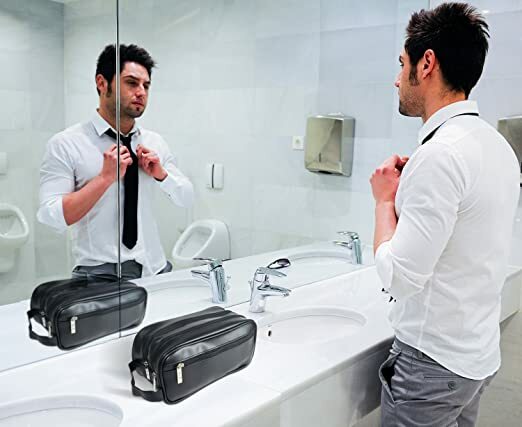 Washable polyester inner lining allows you to keep your toiletry bag in pristine condition at all times. Two interior compartments that fit full-sized and travel-sized items. Pull tabs run smoothly along the zipper tracks to seamlessly open and close compartments on your toiletry bag. The pocket on the outside allows for small items like tweezers, Qtips, nail clippers, etc. You can now effortlessly carry your credit cards, cash and ID with this superior quality, RFID blockin genuine leather money clip wallet. 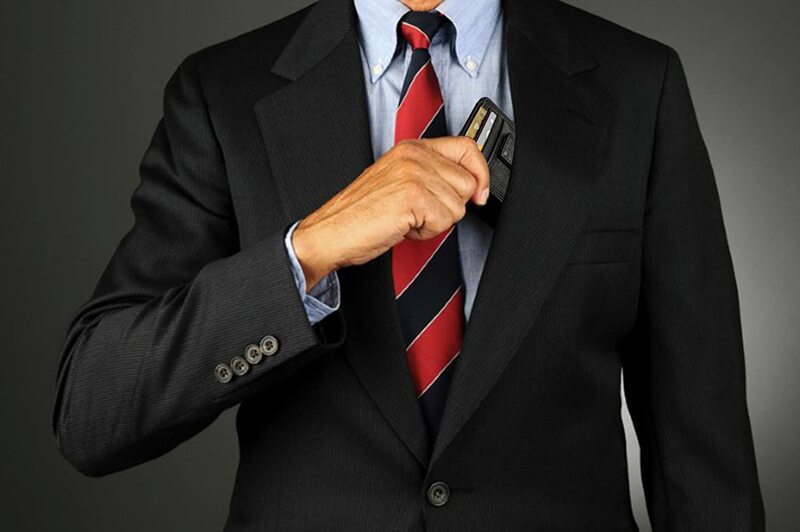 Your slim wallet's RFID blocking technology keeps you safe from malicious identity and banking information theft. Your genuine leather wallet comes equipped with an ID window for easy identification, money clip to store your bills with ease, 3 credit card slots, and 2 inner pouches to store up to 10 cards or cash. Your high quality, genuine leather wallet is a chic addition to every gentleman's ensemble. Perfect for a night out on the town, traveling around the world, or relaxing with friends.